Le Pecheur is an authentic holiday home situated in a quiet courtyard in the old fishing village of Scheveningen. 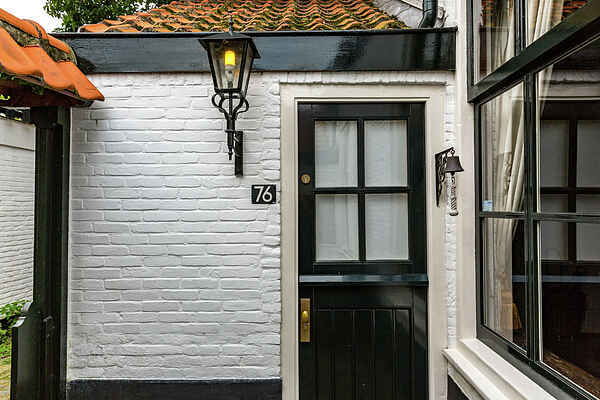 By joining two original fisherman's houses a charming house was created for four people at a stone's throw from the beach and promenade of bustling Scheveningen. Although the house is equipped with central heating, there are gas heaters in the living and dining room for that extra atmosphere. In front of the house is a terrace where you can sit in the sun or in the shade under the lovely red beech tree. From the house, Le Pecheur, you can walk to the beach, the promenade or to the centre of Scheveningen. The centre of The Hague is easily accessible by public transport. The Hague is the administrative capital of the Netherlands. Visit for instance the Binnenhof, or go luxury shopping. Day trips to Rotterdam or Alkmaar in North Holland are also not to be missed.